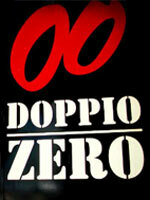 Today I went to a restaurant called Doppio Zero. I had heard a lot of great things about this restaurant so I came in with fairly high expectations. I went to this restaurant a while back it was my second visit. Now that I think about it I think this is my favorite restuarant that I have been to so far the only down side is that it is 40 minutes away, but the up side to that is that it is one of the most beautiful drives in Cape Town. Cafe Roux is located in Noordhoek in a beautful setting, it is in a garden with a small row of shops and a bakery. It i a awesome setting, with tables outside. aubergines, courgette, peppers, roasted beetroot, artichoke hearts, basil pesto on a seed load, they offered cheese but I left it off. organic quinoa (gluten-free), sprouts, broccoli, Danish feta, avo & toasted seeds with rocket & baby spinach with a light mint dressing which I had a ‘few’ bits of which was awesome. Both these dishes were very very tasty and a great portion size. Veggie meals range from R60-R80 which is very reasonable. The service was great and the staff was very friendly. I highly recommend Cafe Roux, its a beautiful drive and amazing food and location! Went to Ocean Basket on Saturday, been there a few times, but now that I have a blog I can voice my opinion about it. I do not want to be to harsh but this is one of the very less enjoyable restaurants I have been to. The setting is pretty average and extremely noisy being located on main road sea point. There are no vegetarian options, they have a side salad that is pretty sad its tomatoes, cucumber, onion, olive and feta it really is not great. If you order a piece of fish your only side options are yellow rice, chips or a tiny side salad. So even if you eat fish but are relatively healthy there is nothing to go with the fish and the fish is tiny so it is not a filling meal at all. The service is very average, their bread is regular sliced bread. So over all not a great restaurant does not have much to offer from my perspective. They have good specials and combo with fish, prawns calamari so if that is what you enjoy you could find yourself a good meal, all very saucy and fried so if health aint your thing, you might enjoy it, it just was not for me!